Since 1993, Four States Living Magazine has served as the premier lifestyle magazine for the Four States region. With exceptional insight into the community, FSLM creates long-standing relationships with its readers and offers advertisers an excellent avenue for displaying their products and/or services. 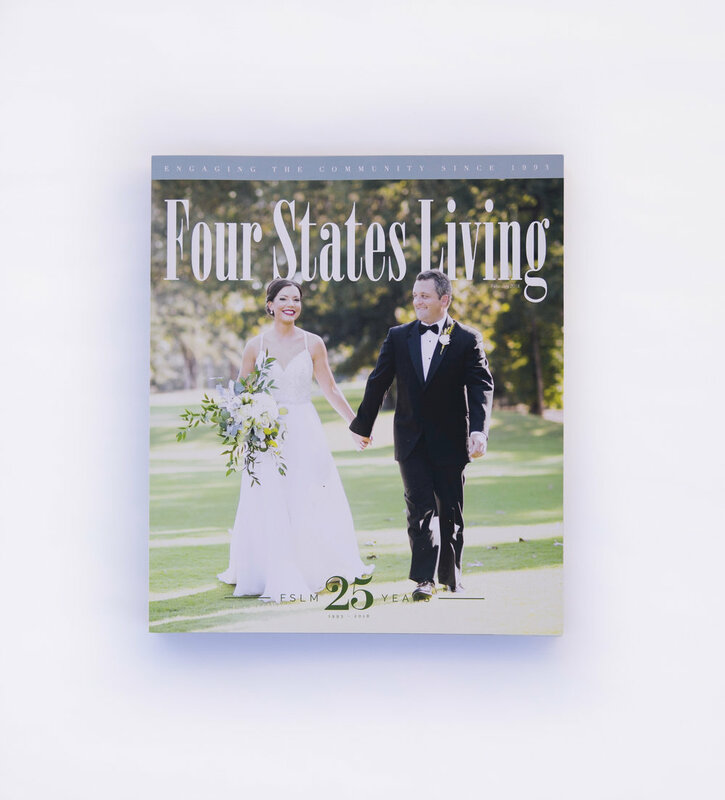 Four States Living Magazine features an elegant sleek design with its oversized format. Perfect binding and glossy finishes provide a professional look that is visually appealing, perfect for showcasing the area’s exclusive parties, galas, and fundraisers. Quality photographs with each article capture the readers’ attention, encouraging them to continue reading and browsing through the pages. Editorial content features regular commentary from humorous columnists, as well as stories about people who make Texarkana and its surrounding area a better place to live.